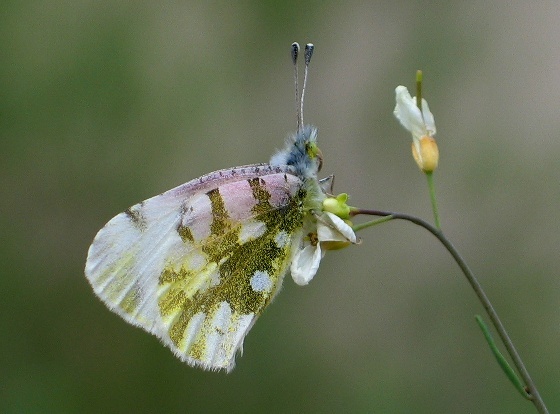 Euchloe olympia nectaring on rock cress (Arabis sp. ), the larval food plant. The pinkish wash disappears with age.